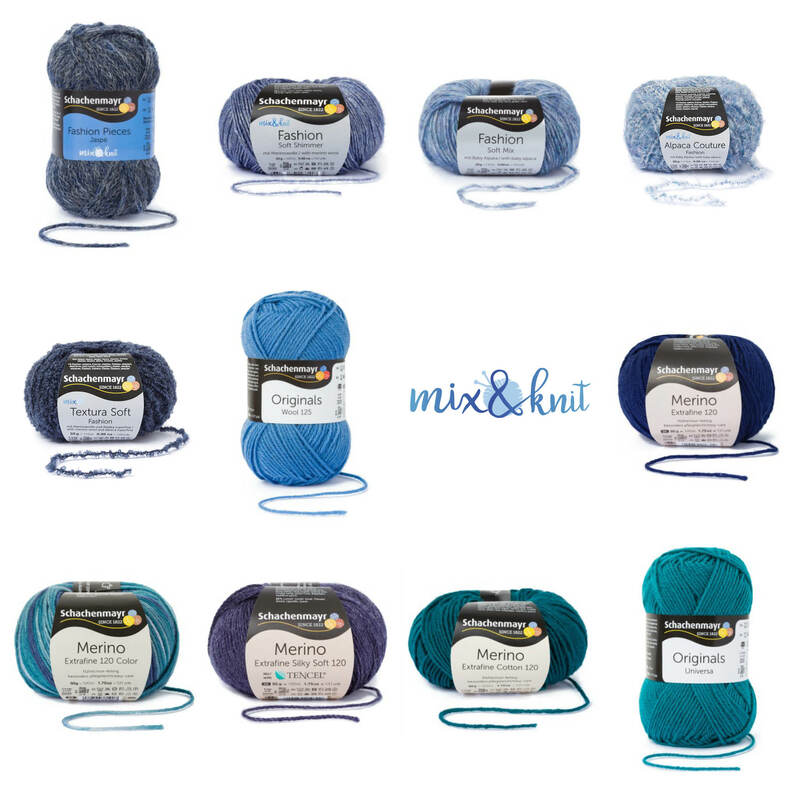 What is so special about the mix&knit concept? It offers you an endless variety of yarn and color combinations, thereby giving you complete creative freedom! Create your own style – inspired by you! No matter whether you want to make one of the styles from the Moments Magazin 024 or from the Moments Magazine 032 in your favorite colors, choose yarns for your own unique design - here you will find all yarns with the mix&knit gauge! You can combine them as you like, with no problems – all according to the motto, mix&knit! Choose from a total of eleven mix&knit yarns to unite various materials, structures, and textures to create especially interesting effects. The color range of these yarns comprises a total of 269 different shades! Make it colorful or tone in tone, light or dark – the choice is yours! For shadecards and further information, go to the page for each yarn. We wish you much pleasure with the mix&knit yarns!